One of the greatest threats to public health in the Third World is strains of tuberculosis bacteria that have grown resistant to antibiotics and other traditional medicines. 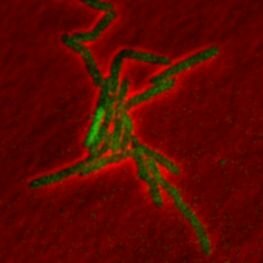 Now, scientists in Japan and Switzerland have witnessed a previously unknown method a certain bacterium uses to evade the best weapons in the medical armory. The discovery, made in a bacterium similar to the one that causes TB, could potentially lead to more effective drugs. Reported in the latest issue of the journal Science, the finding also casts doubt on the conventional explanation of how bacteria develop resistance to drugs. Making drugs that are more effective against tuberculosis is not a minor matter. According to the World Health Organization, there are parts of the world where one-quarter of all TB patients have a drug-resistant form of the disease, called multidrug-resistant tuberculosis, or MDR-TB. WHO reports that 440,000 people had MDR-TB in 2008 worldwide and a third of them did not survive. Half the cases are in India and China. There is an extreme version, XDR-TB, that is even worse. 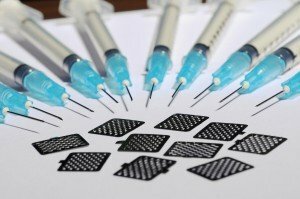 Measles vaccine given with painless and easy-to-administer microneedle patches can immunize against measles at least as well as vaccine given with conventional hypodermic needles, according to research done by the Georgia Institute of Technology and the Centers for Disease Control and Prevention (CDC). In the study, the researchers developed a technique to dry and stabilize the measles vaccine – which depends on a live attenuated virus – and showed that it remained effective for at least 30 days after being placed onto the microneedles. They also demonstrated that the dried vaccine was quickly released in the skin and able to prompt a potent immune response in an animal model. At the Eye Department of Ullevål University Hospital, stem cell research is producing important results. 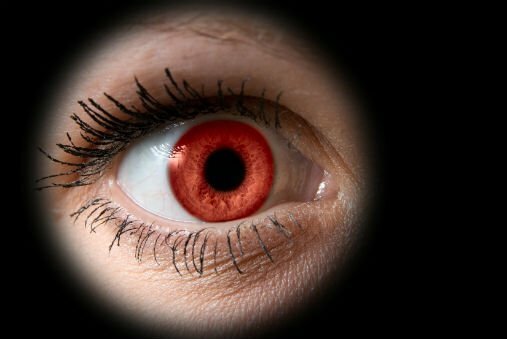 By using components from the patient's own blood and the patient's own tissue, it is now possible to preserve sight even if the cornea is destroyed. In every form of transplantation, there is a risk that the body will reject the transplanted tissue through an immune reaction because it perceives the transplant as a foreign body. Previously, researchers used a number of components from animals when they cultured tissue for transplantation. The problem was that these foreign animal elements gave a high risk both of strong immune reactions and of spreading disease from animals to humans. Now, the animal components are replaced by serum from the patients themselves - and with great success. That green muck you see on a pond’s surface is one step closer to becoming a solar-powered source of some of the stuff you use everyday. Scientists from the U.S. Department of Energy’s Lawrence Berkeley National Laboratory (Berkeley Lab) and Stanford University have developed a way to send molecules and proteins across the cell wall of algae, a feat that opens the door for a new way to study and manipulate these tiny organisms. In recent years, algae have become a hot prospect as a way to synthesize biofuels, chemical building blocks, vaccines, pharmaceuticals, and other useful compounds. The idea is to engineer algae to secrete fuel for your car or other compounds using sunlight as an energy source and carbon dioxide as a carbon source. 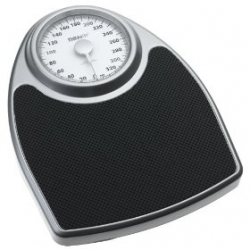 Can a retrofitted bathroom scale costing less than $100 save lives and improve the health of millions of Americans living with heart failure while cutting billions of dollars in annual health care spending? A team led by Mozziyar Etemadi, MS, has been awarded $110,000to find out. Etemadi is an an MD/PhD student in the UCSF Medical Scientist Training Program through which he is pursuing a PhD in the UCSF/UCB Joint Graduate Group in Bioengineering and working in the lab of School of Pharmacy faculty member Shuvo Roy, PhD. Method cuts testing time from a day or more to less than an hour. Currently, beachgoers are informed about water-quality conditions based on results from the previous day's sample. Scientists must collect samples in the field, then return to a lab to culture them for analysis — a process that takes a minimum of 24 hours. 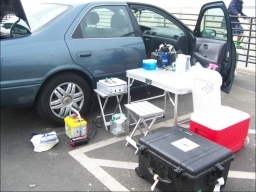 Now, engineers from the UCLA Henry Samueli School of Engineering and Applied Science have sped up the process of analyzing bacterial concentrations to under one hour, through the development of a new in-field, rapid-detection method.